The October 2017 issue of Myself Germany heads to the great outdoors for this dreamy editorial. 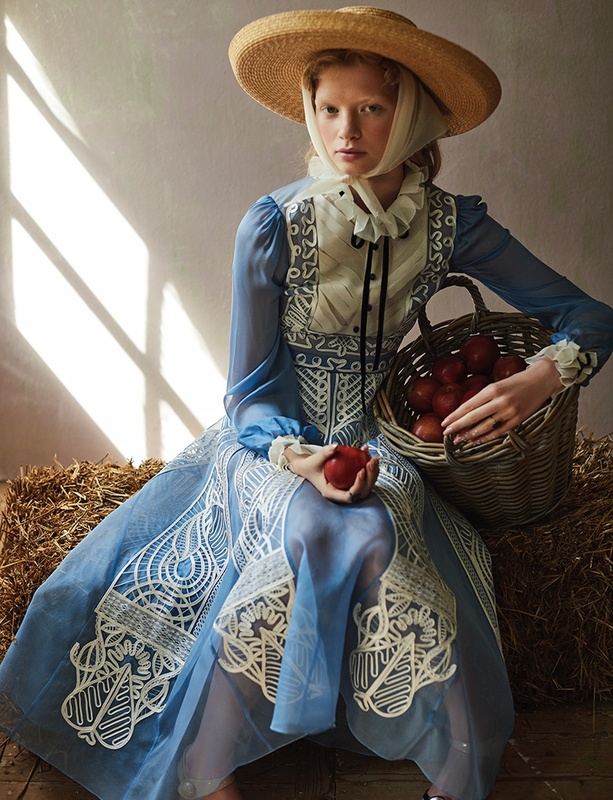 Titled ‘The Simple Life’, models Noah van de Biezen and Annemarie Kuus embrace romantic styles inspired by the Amish. Photographed by Petrovsky & Ramone, the duo poses in chic ensembles including delicate ruffles and diaphanous prints. Stylist and creative director Theresa Pichler dresses Noah and Annemarie in the designs of Dior, Temperly London, Anne Sofie Madsen and others. Elise Haman worked on hair and makeup for the sun-drenched shots.